By now, you'll probably agree with me that creating animations in code is really REALLY fun. You write a few lines of code and (a few moments later) you have something that is happily moving around the screen. In this tutorial, I am going to show you how to take this fun to a whole new level...legally! You are going to learn how to animate what you draw yourself as opposed to using something predefined out of a can like a div, img, or some other DOM element. Ok, maybe that was a bit of an exaggeration, but you will animate something that you drew yourself. This tutorial will show you how and acknowledge the madness behind why you would actually want to do something like this. Animating the things you draw is very different from animating DOM elements. Before we get wrapped up on implementation details, let's talk a little bit about those differences at a high level first. Knowing how to think about this new world will actually make everything easier...at least everything related to animating what you draw. 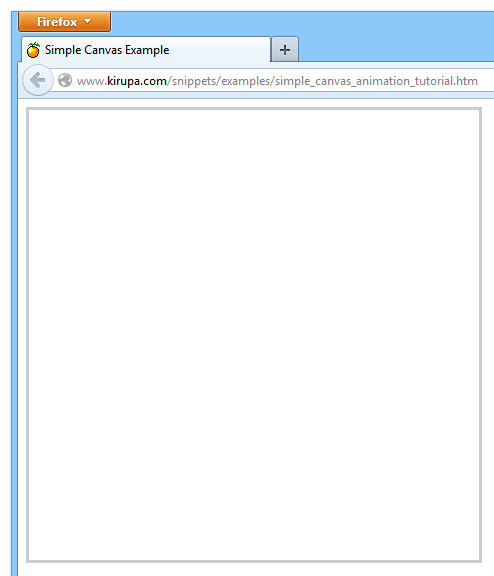 Adding the canvas element to your page is easy. Communicating with it to get some pixels to show up and animate is a challenge - especially if you don't speak its language. 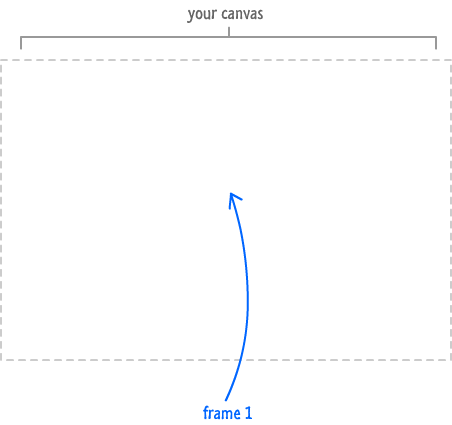 The way you draw and animate on a canvas is very similar to how people created animations manually back in the day. You draw everything from the things in the foreground to things that appear in the middle to the things that make up the background. Every single detail is under your control. It has to be, for it certainly isn't controlled by the canvas. 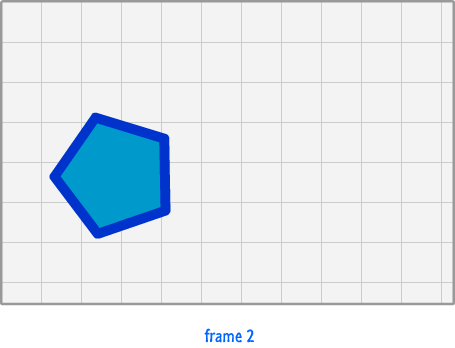 When all of these frames are played back-to-back really quickly, you have an animation. In the next few sections, we'll turn everything you've learned in this section into working code. In this section, we'll create the scaling circle animation you saw earlier and see how these draw and clear steps make your life miserable translate into all of the code that brings them to life. This value is going to be important when we decide to access our canvas element from code. The other things to note is the width and height of the canvas is set to 450 pixels via the appropriately named width and height attributes. Before you yell at me for having what looks like a visual property defined inline, you can't specify the size of the canvas element in CSS without messing up what gets shown inside it. 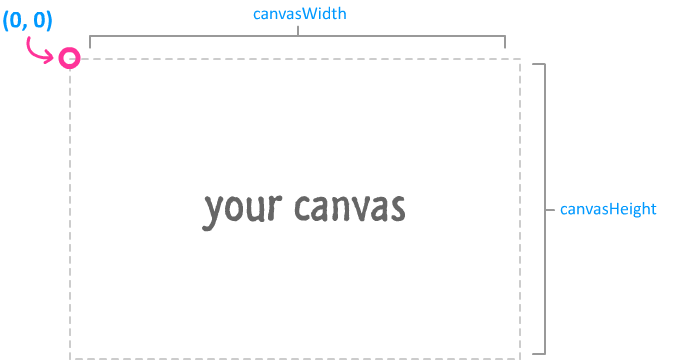 You have to specify the size values inline on the canvas element itself using the width and height HTML attributes. Yes, I know it looks odd. No, I don't have anything comforting to say. Our mainContext variable is initialized to whatever gets returned from calling the getContext function via our canvas element. This is important. What gets returned is an object that gives you everything you need to draw and do graphics-related things in your canvas. In our code, we passed in 2d as argument for our getContext function. 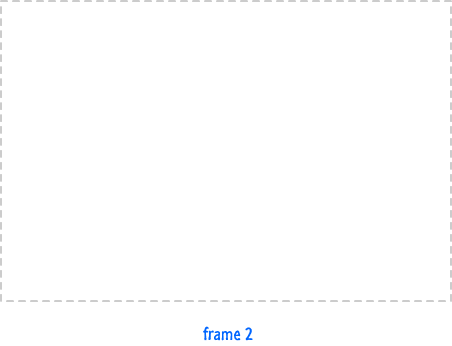 The argument you provide specifies what kind of drawing object to return, and specifying 2d returns an object specialized in two-dimensional drawing. The other argument you can provide here is webgl. While I won't be describing webgl here, passing in that argument will return an object that is great for really advanced 3d scenarios found in games and other things. Now that you have your single circle displaying, let's look at each line of code and see how it helps to get our circle displayed. We first specify the fillStyle property which determines what the current fill color will be. 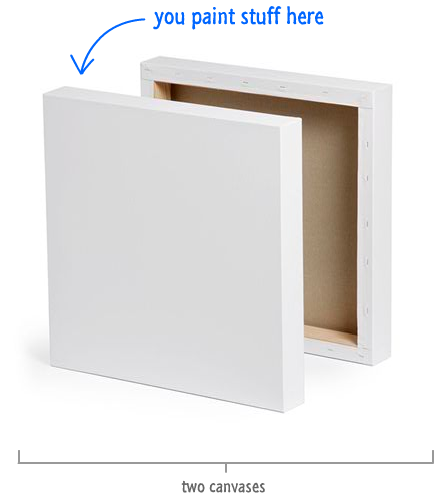 Once that has been set, the fillRect function applies that color to an area we specify. Just like the clearRect function you saw earlier, the fillRect function also takes four values corresponding to the area that needs to be dealt with. 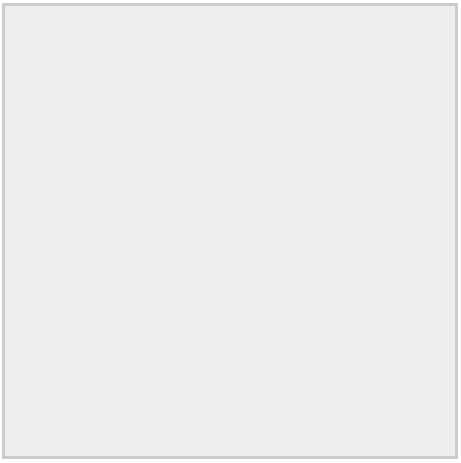 Because we want to color in the entire rectangular area taken up by the canvas, we specify an area whose size is defined by the canvasWidth and canvasHeight variables with the starting point being the top-left corner. The way you draw shapes in the canvas is by first using the beginPath function, specifying the shape you want to draw, and then closing the path you started by using the closePath function. Think of beginPath as putting your pencil down on the paper. The rest of the code determines the path your pencil takes to draw whatever it is you want to draw. The closePath function is the equivalent of you removing your pencil from the paper. Of these six arguments, the first three are the most relevant for us and (fortunately) pretty self-explanatory as well. 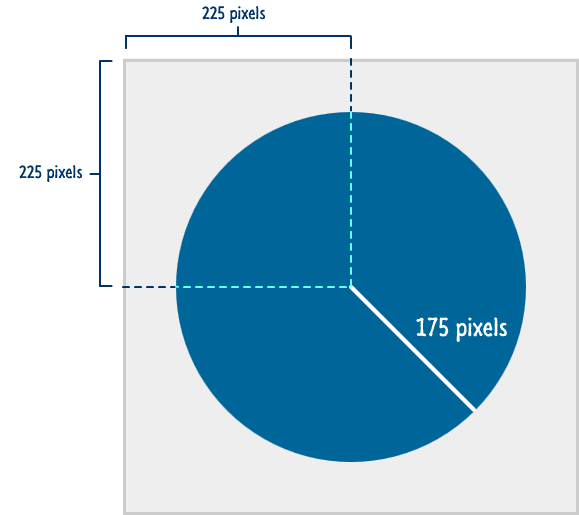 Based on the arguments we passed in, our circle is going to be centered at 225, 225 and will have a radius of 175 pixels. At this point, if no further code gets executed, what do you think you will see in your browser? Will you see a circle? Will you see the outline of a circle? Will it be something circular and filled completely in white since no color was specified? You will see nothing beyond the light gray background that you specified many paragraphs earlier. The reason is that your circle is invisible. You never specified either an outline color or a background color to give it some form. Until you specify how to actually display the circle you drew, you will basically see nothing. Your canvas element is very picky on formalities like this. The fillStyle property specifies the color our circle will be painted in. The fill function actually tells your canvas element to fill our circle with the color specified by fillStyle. And with that, you have drawn a simple circle. If you preview what you have in the browser at this point, you will see a happy blue circle displayed. To learn more about how to draw circles on the canvas, I encourage you to check out my Drawing Circles on a Canvas tutorial where I go into greater detail about all of this. It's all well and wonderful that you have a blue circle that shows up, but what we really want to do is animate this circle. The circle's radius needs to change from small to large, and it needs to do it nicely. 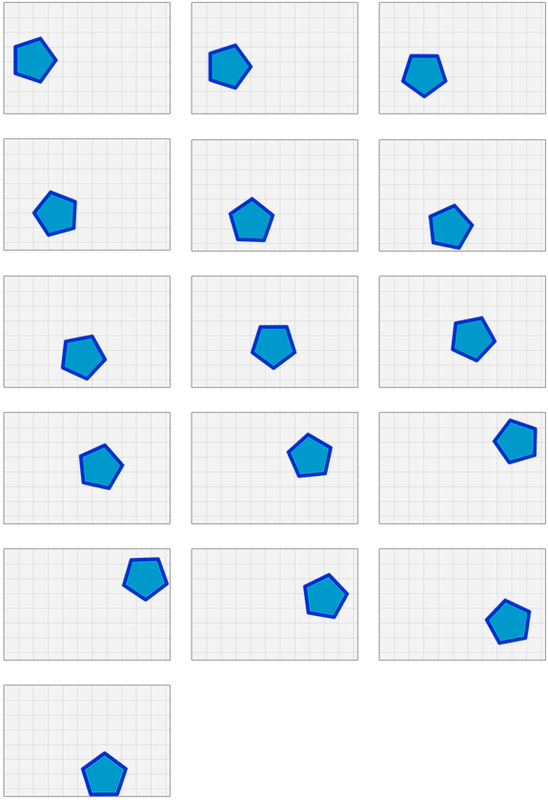 In this section, we'll modify the code you currently have to make your circle animate. w00t! What you've just done is told your browser to call the drawCircle function every time it decides to redraw. The number of times your browser will decide to redraw will be around 60 times a second, so it is safe to assume that your drawCircle function will be called around the same number of times as well. Anyway, that's all you need to know about what is going on here. If you want to learn more about requestAnimationFrame and all the awesome things it does, check out my Animating with requestAnimationFrame tutorial for the nitty gritty stuff. With your drawCircle function now getting called rapidly, the last thing we are going to do is use this to our advantage and alter our circle's radius slightly each time it is called. 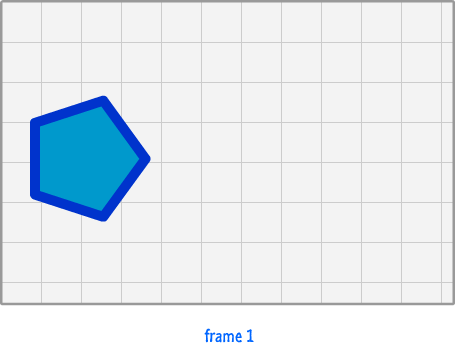 Think of each time your drawCircle function getting called as the equivalent of defining a new frame. Because your angle variable is passed in as an argument to the Math.cos function, the outcome will always be a number between -1 and 1. It doesn't matter how small or large your angle variable's value is. That's the nice thing about a trigonometric function like Math.cos. Since a negative value doesn't make sense for setting the radius of our circle, we take the absolute value of it using the Math.abs function. The rest is just normal math. Your angle variable is increased ever so slightly by Math.PI / 64. If you don't think in terms of weird mathematical expression, that evaluates to .0491. That might seem like a ridiculously small number, but remember - every second, this code is getting called around 60 times. That all adds up...literally! 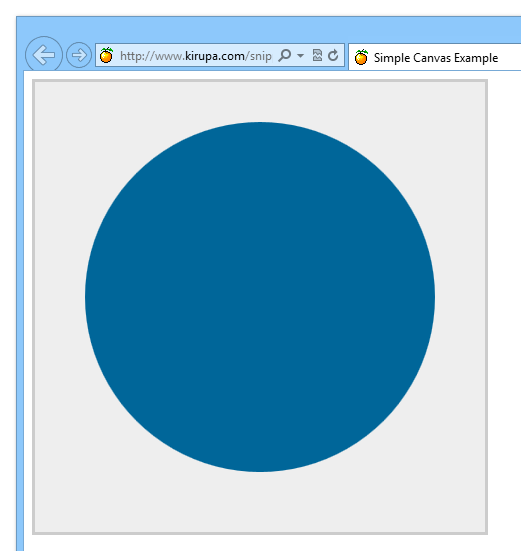 If you preview your document in your browser now, you will see your blue circle now increasing and decreasing in size. All of the code that you had before for clearing the canvas and re-drawing the circle are all there. The only thing that is different is that what you draw changes a little bit each time your drawCircle function gets called. By now, you are probably wondering why on earth you would put yourself through doing all this work on a canvas when you could have done this easily using a DOM element. With a DOM element, you don't need to worry about drawing a circle, clearing the canvas, painting the background, painting every trivial thing you want to add, and ensuring you clear the canvas again before the next frame of painting happens. Given the simple example we've worked with here, the grass is indeed greener on the DOM side of the fence. As you will see in subsequent tutorials, the value of doing things on the canvas increases greatly as the pixels you are pushing become more complex. To learn a whole lot more about this DOM vs. Canvas rivalry and why doing things on a canvas is more difficult than working with a DOM element, check out my DOM vs. Canvas article.